In the era of #spirtual and #physical #wellness, everything needs to be Instagrammable, even dietary supplements. Ritual, a subscription-based service that charges customers $30 per month for shipments of its women’s daily or prenatal vitamins, has effectively tapped into that Instagram crowd. The company admits its social media strategy has been key to harnessing a cult following of wellness enthusiasts. 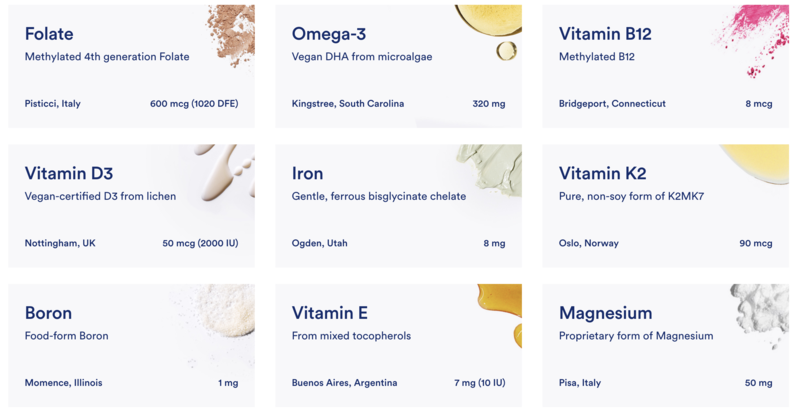 Since it was founded in 2015, the business has sold 1 million bottles of vitamins; today, it’s announcing a $25 million Series B funding led by Lisa Wu at Norwest Venture Partners, with participation from Kirsten Green at Forerunner Ventures and Brian Singerman at Founders Fund. Wu, as part of the round, will join Ritual’s board of directors. The Los Angeles-based company, which launched during TechCrunch Disrupt New York three years ago, brought in a $10 million Series A financing in 2017. Including a seed round, Ritual has raised $41.5 million to date. Schneider declined to disclose its valuation but shared the startup has used the latest investment to make key additions to the management team, including the hiring of chief scientific officer Nima Alamdari, a Harvard-trained physiologist, and director of scientific and clinic affairs Mastaneh Sharafi. Ritual also plans to launch two new products, a postnatal and a post-menopausal vitamin, in 2019: “Our vision is to be that single vitamin that she needs,” Schneider said. The Ritual team has “reimagined the vitamin from the ground up,” Schneider says, sourcing new and different ingredients to create a best-in-class supplement. To distinguish its product from competitors and justify its $30 per month price tag, Ritual provides absolute transparency of its ingredients and benefits of the vitamins and cites multiple scientific studies on web pages created for each individual ingredient. Ingredients found in Ritual’s women’s multivitamin. “Women deserve to know what they are putting in their bodies and why,” Schneider said. For reference, a container of 150 Walgreens-branded women’s daily multi-vitamin is $11, significantly less than Ritual’s. Care/of, however, another venture-backed vitamin startup, charges $25 per month for packages of its women’s prenatal vitamin. $30 per month, however, isn’t accessible to most women. It is, however, comparable to other vitamin makers with high-quality ingredients. Ritual’s target audience, women interested in paying for subscription-based vitamins — an item that’s pretty easily accessible at your neighborhood grocery market — are less likely to be deterred by a $360 annual price tag. After all, the service will also send you a calendar invite to remind you to take your vitamins — the grocery market will certainly not provide that level of service.